Finding the right web hosting provider for your website is as important as the development of your website itself. You are going to find that there are many different types of hosting services that includes shared web hosting. Once your website has been developed, your priority is getting it to go live on the Internet in the best way possible. All the software applications that you use as well as the files and pages your website uses and stores must be uploaded on a server. It is this server that connects to the Internet so your site is accessible online. When you choose to use shared hosting, it means you are going to have your web data placed on a server that is also being used by others. You will be able to access the backend of your site through your hosting account, and even though it is on a shared server, you will only be able to tap in to your own website. One of the biggest benefits of shared hosting is that it is usually the most affordable one. It works well for businesses that range from small to medium businesses and have moderate traffic to their sites. Quite often the shared hosting providers will offer affordable rates and will even give a discount if you pay for the service for an entire year in advance. Another advantage of shared hosting is that it offers some flexibility with respect to the type of packages that are available to you. The smallest package is the one that will offer the lowest amount of disk space, and will have restrictions on the bandwidth that is available to you. 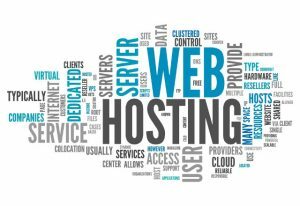 Depending on the hosting provider offering shared hosting, there may be some additional features that are offered, but these are usually quite restricted in nature. As you look at the different packages, you will see that they are scaled up on various levels as to what they have to offer. Most often what this will include is additional features for an added price. You always have the option of being able to go with the basic package and then as your site grow and matures, you can upgrade your package as necessary. One of the features that you will find is that whatever theme you are using for your website can be installed easily with just a click of a button. Common scripts that are normally used on websites are softwares that help run forums, blogs or chat options, for example. You will find when looking at hosting providers that they are located all over the world. Ideally, you want to look for host provider that is in your local area as there are some great benefits to this. Speed is one of the critical factors for a successful website, and you will find that when you are hosting locally as opposed to internationally, that the local server where your site is residing on will perform much faster. It can also enhance your rankings in the search engines. You have a better support service which is important when it comes to keeping your site live.